The University of California’s five academic cancer centers, home to some of the world’s leading scientists and physicians, have formed a consortium to better address California’s most pressing cancer-related problems and opportunities, UC President Janet Napolitano and Dr. John Stobo, executive vice president of UC Health, announced today. 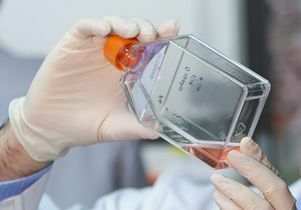 Each of the UC centers holds the highest designation possible from the National Institutes of Health’s National Cancer Institute, and the alliance reflects a new model for cancer research and treatment that calls for the best minds to work together, regardless of where they are, to tackle cancer’s many problems. Among the projects the consortium will undertake are precision medicine, clinical trials, population health science, best practices in harnessing big data to improve health, and political engagement for public benefit. The centers that make up the consortium are UCLA’s Jonsson Comprehensive Cancer Center, the UC Davis Comprehensive Cancer Center, the UC Irvine Chao Family Comprehensive Cancer Center, the UC San Diego Moores Cancer Center, and the UC San Francisco Helen Diller Family Comprehensive Cancer Center. Each of the UC cancer centers is a hub of expertise and innovation, and all of them partner with industry to advance technology, protocols and medicines that become available to practitioners and patients around the world. Their collective expertise and capabilities will enable the consortium to rise to the challenges of the times and to address California’s most pressing cancer-related problems and opportunities. These include costs of care, variability in reimbursement, challenges in research funding, inequities in access to care, disparities in outcomes and public health issues, matching developing drugs to multiple cancer subtypes and rare tumors, and harnessing the profusion of data to improve care and safety.